We know that visiting the dentist can be scary. 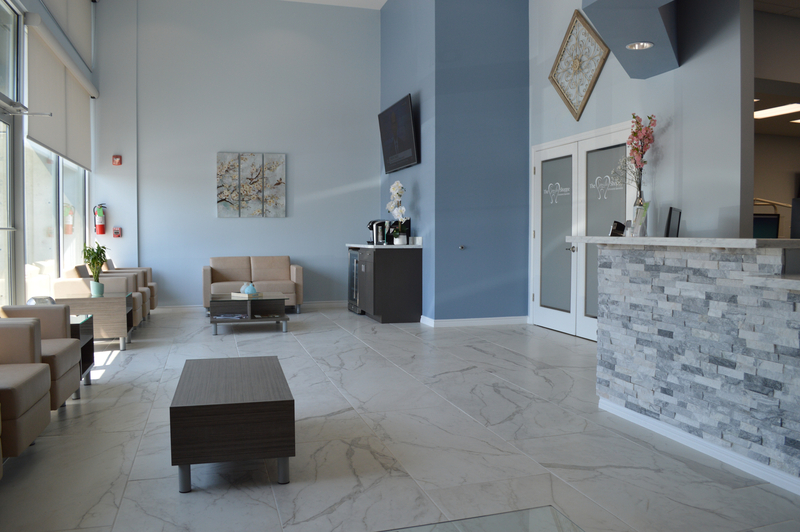 That is why we have made it our goal to make you feel at ease throughout your treatment. 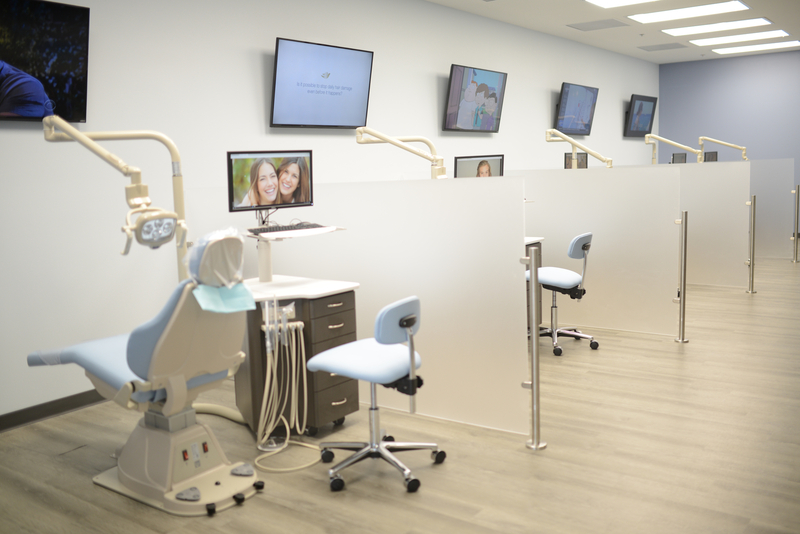 Our office design provides dividers in between each treatment chair for privacy at each appointment. 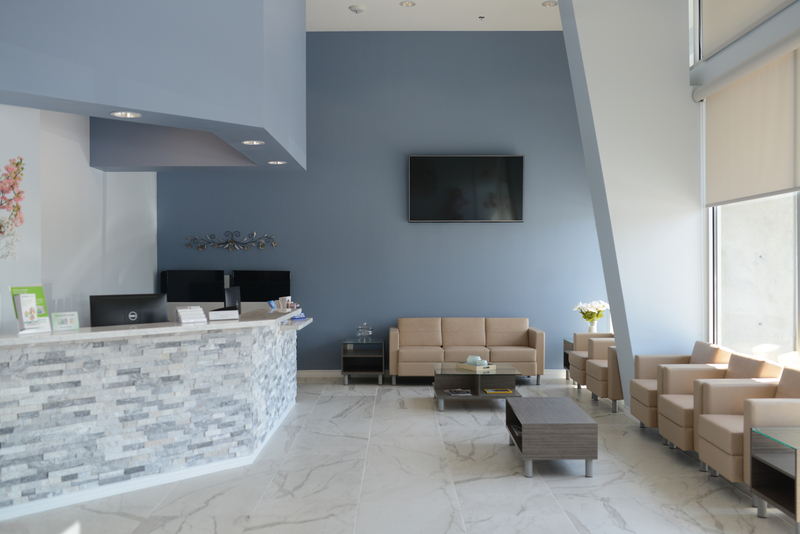 Our modern and upscale office has a relaxing and comfortable waiting area, complete with a mini bar where we serve refreshments. 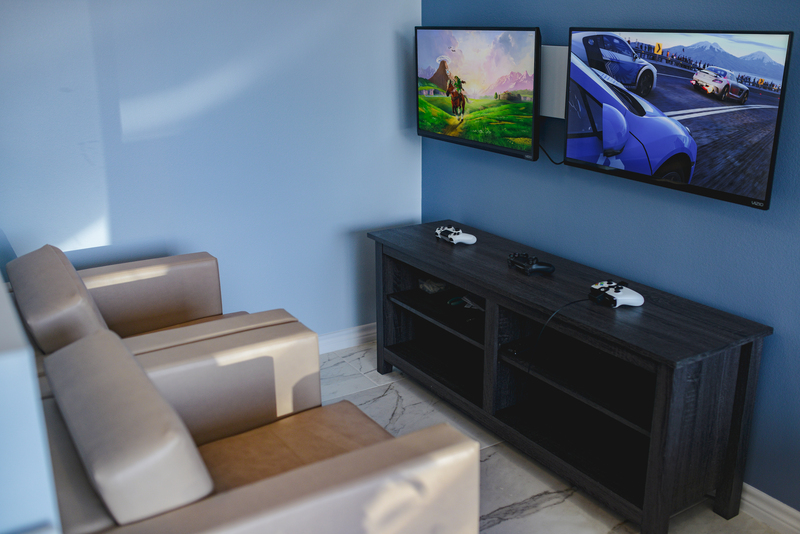 TVs, reading material, and video games are also available for your enjoyment so you can feel at home.